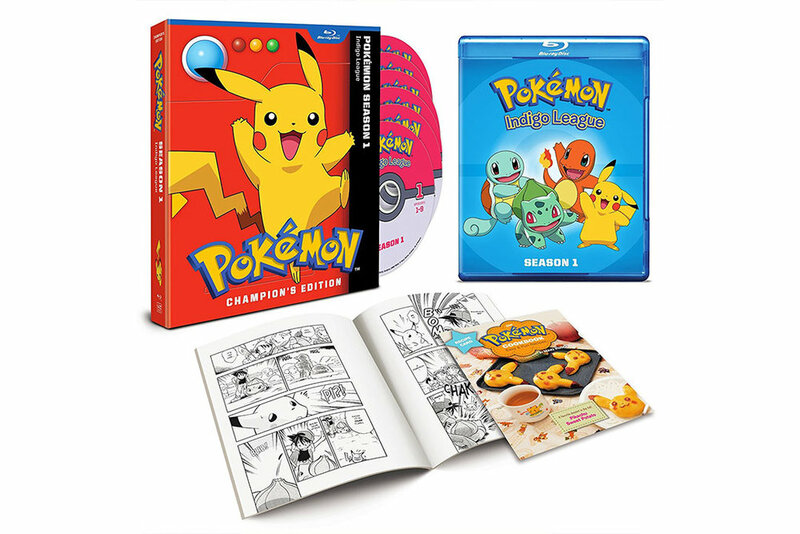 The POKÉMON INDIGO LEAGUE (rated TV-Y7) features the beloved series’ complete first season (52 episodes) presented for the first time on Blu-ray in a six-disc set and carries an MSRP of $69.99 U.S. / $81.99 CAN. The set features episodes presented in full 1080p High Definition with English dubbed as well as English SDH subtitled dialogue options. Notable bonus features include a complete “Pokérap” video and “Who’s That Pokémon?” digital art gallery. A recipe card from THE POKÉMON COOKBOOK: EASY & FUN RECIPES and a POKÉMON ADVENTURES Vol. 1 mini-manga sampler are also included.